Dress your baby, see what makes him or her laugh, take your baby to the playground and cover the baby gently when its naptime. All this and more as you learn all about what babies need! 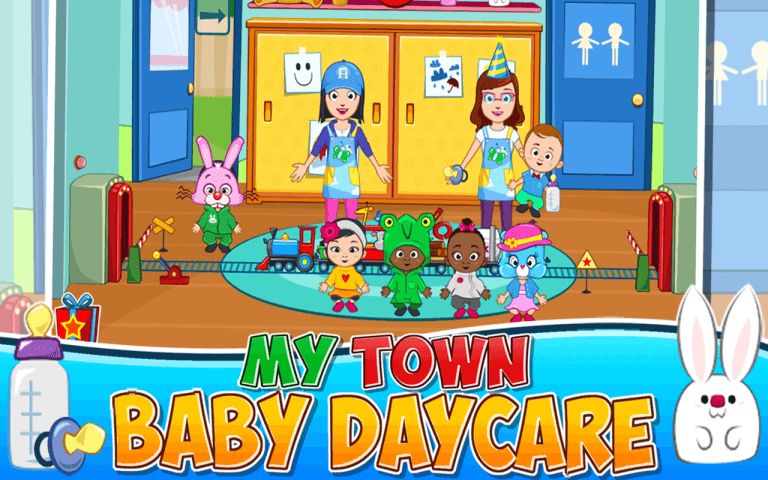 Meet six cute babies and 12 happy characters, from teachers to family members in the new My Town: Daycare game. There are six fun locations to discover including a playground complete with swings and a slide. Dress your baby according to the weather and then after play put the babies down for a nap (make sure to cover them up with their blankets!). 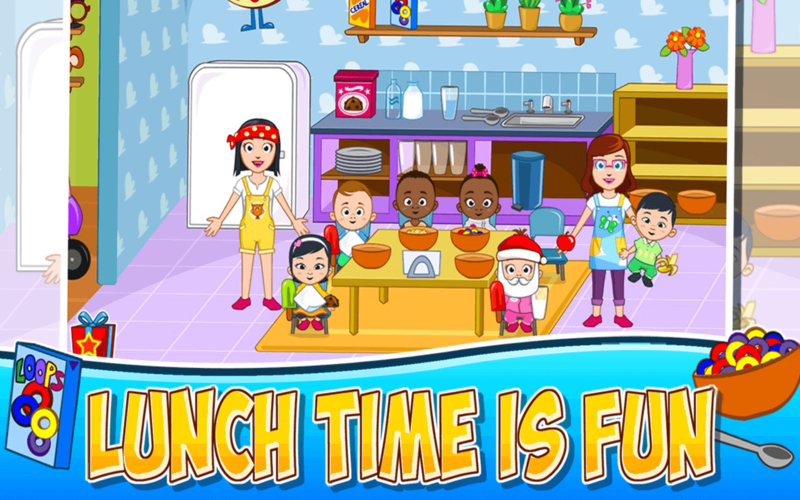 Then you will have time to set the table for dinner or grab some food from the fridge! An added bonus is the connectivity of all the My Town games. You are able to share characters from one game to the other within the My Town world of apps. 6 different rooms to discover! No time limit, competition or high scores to beat – just pure open ended play. Over 90 new items and sounds to discover! Experience all four seasons and find clothing to wear during them all.